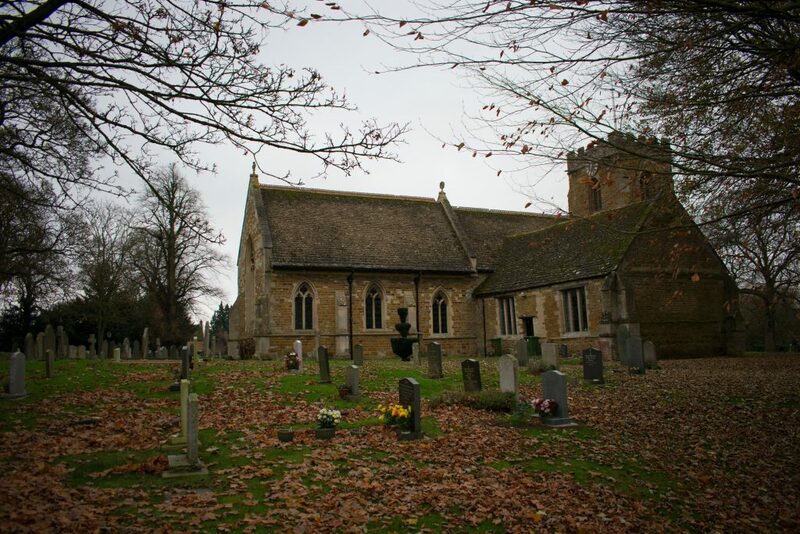 We were delighted to receive an invitation to visit the beautiful 12th century church at Medbourne in rural Leicestershire. 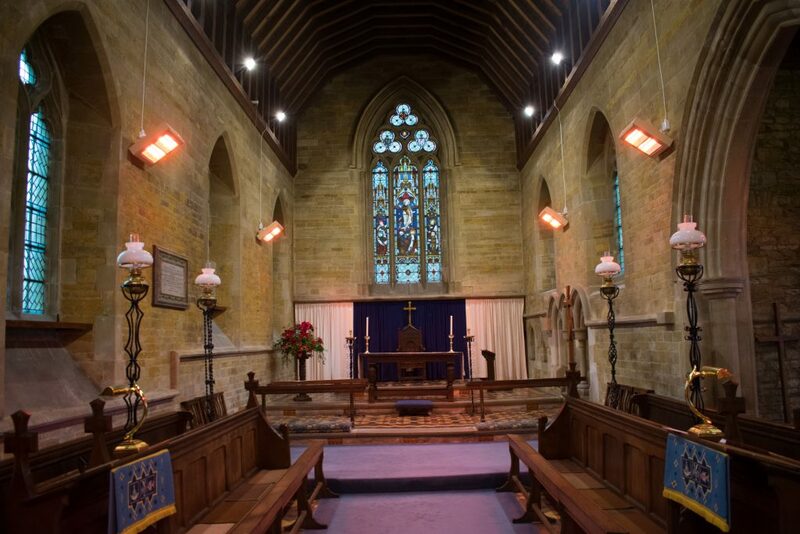 The existing church heating system, utilising a number of ceramic heaters mounted at high level, was not proving to be effective and the congregation were keen to investigate alternatives. Our engineer spent time talking to members of the congregation and carrying out a detailed survey. As is normally the case in a traditional church, conventional heating had to be ruled out. The reasons for this include intermittent use, poor thermal properties and very large air volume coupled with a high roof. Our suggestion was to replace the existing ceramic heaters with halogen heaters of a similar output. Halogen heaters work at the shortwave end of the spectrum and as a result their output is projected forward much more efficiently. The proposed church heating scheme was designed to provide an even distribution of heat in the nave, chancel and side chapels. The most important features of the scheme were that the heaters would be instantly effective and that the heat would be delivered directly, without the need to warm the surrounding air. After an exemplary installation by the team at Alden Electrical, the heaters are now in full operation. We are pleased to confirm that the congregation are now enjoying satisfactory heating and a reduction in heating costs. 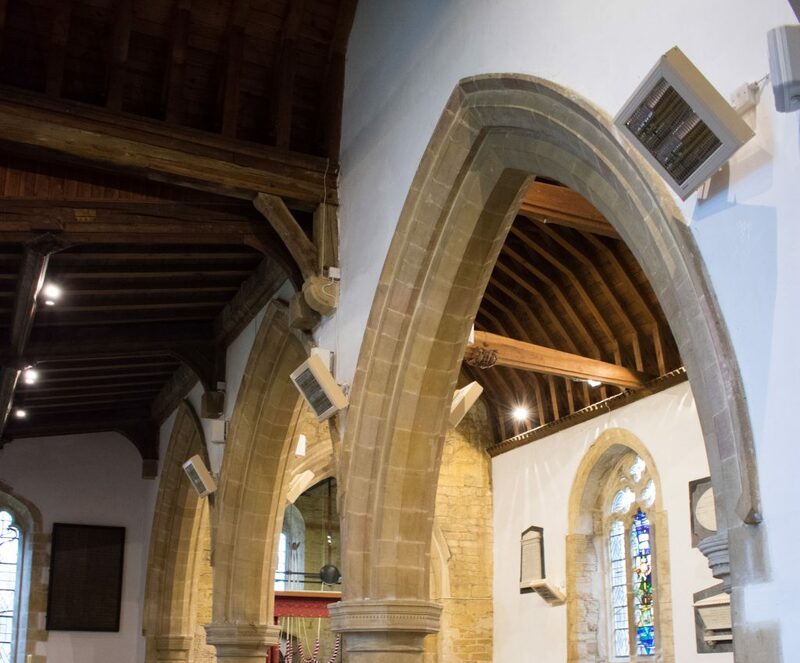 If you would like help in designing a heating scheme for a church just call us on 01293 547361 for a free of charge and ‘no obligation’ survey.